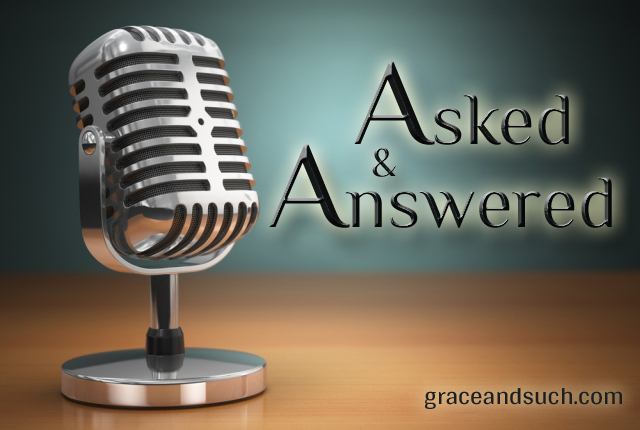 Today we’re starting a new monthly feature called “Asked and Answered”, where we’ll get to know a little about our writers. This month we’re talking to Gretchen Hanna. G&S: Let’s start with the easy question. What are some of your nicknames? Only the ones you’re comfortable sharing with the world, of course. GH: Doug super-husband of 25 years, David (19), Jenny (17), and the dogs, #OhElla Berner puppy and #OhLowla sweet Dachshund. David is in his second year at college and Jenny is about to graduate high school this spring. GH: Just outside Seattle in the small city of Mill Creek. G&S: I know you’re not originally from Washington. So where else have you lived? GH: Lots of places; to condense: born in Iowa but only lived there about one year of my life; lived in Colorado for 23 years; and moved to Washington in 2001. GH: Momming, substitute teaching, getting back on the speech therapy career track, social media, TV watching, Seahawk rooting, dating my squeeze, and crafting when I can. I adore my church and happen to facilitate a small group for young women. G&S: What do you like to craft? GH: Besides words into paragraphs? 🙂 I love, love, love to quilt. Yeah, going into quilt or fabric stores is my most favorite way to get material, but I also love using old, beloved pieces of clothing. Why? While new fabrics are lovely and fun to arrange in pleasing patterns, there’s something about an old piece of clothing where the memories as well as the new creation keep you warm. I love the idea of creating something pretty, or at least cuddly, from castaway pieces of fabric. Trash to treasure, if you will. Something about that metamorphosis enchants me. Reminds me of new beginnings/new mercies, I guess. G&S: Quilting is a great craft. There are those among us, however, who can’t seem to finish them. But enough about that. How about books? I know you like to read so can you tell us what you’re reading right now? G&S: Excuse me while I put “The Sisterhood” on my To Be Read list. Done! Can you share what some of your all time favorite books are? “The Nightingale” by Kristin Hannah; “Maude” by Donna Foley Mabry; and “Saving Cee Cee Hunicutt” by Beth Hoffman. Favorite authors: Charles Martin, Gail Tsukiyama, Dorothea Benton Frank, (classic) Steinbeck. Someone told me I need to be reading Kate Morton, so I’m obediently looking for her first book at my library, and will go start from there. I tend to like relational books with great dialogue, even more than a great plotline. I can forgive a lot of plot and theme weaknesses if I like the characters, which is probably similar to how I think about people. I also love transgenerational relationships (e.g. grandparent and grandchild) and unlikely relationships (e.g. Lenny and George in Of Mice and Men). G&S: Great list! I, too, loved “The Nightingale”. And “Saving Cee Cee Hunicutt” was a sweet read. Also, Kate Morton is my new favorite author. The two books of hers that I’ve read are transgenerational and I find her writing to be a lot like Kristin Hannah’s – so descriptive that you forget where you are. But enough about me! Let’s move on. How about a few of your favorite TV shows? And Netflix counts. GH: “Call the Midwife” (PBS), “The Knick” (Cinemax), any of the Terrence Wrong series (e.g. “Boston Med”, “NY Med” –ABC), “Blue Bloods” (CBS). The list is long, but distinguished; but you asked for a few. Basically, anything medical or with clever dialogue reels me in. G&S: We love “Call the Midwife” and “The Knick” in our house! They’re both so fascinating from a historical perspective. And to complete the picture, which is your TV food of choice? Sweet or salty? GH: Sweet, then salty, then sweet. Basically, chocolate & popcorn, or Reese’s anything. G&S: This might be why we’re friends. What is your favorite holiday? GH: Christmas. AND my birthday. Wait. I guess Christmas is the only true holiday in that duo. Hmph. G&S: I’m all for celebrating our own birthdays like it should be a national holiday, and if you can get the family on board then go for it. What is your favorite scripture and why? GH: At the moment: Matthew 11:28-30 and Micah 6:8. Matthew 11:28-30 meets me where I am, whether tired, discouraged, anxious, or depressed, and reminds me that God is not only sovereign, but He’s big enough to handle whatever comes my way, if only I will trust Him–and He’s with me always with a BETTER way than my own. Micah 6:8 is a super quick, super functional reminder of what it means to follow Jesus, by seeking justice for the oppressed, loving His mercy and extending it to others, and never leaving God’s side, by focusing on my relationship with Him. G&S: Two great verses to remind us how big God is and what he expects of us. 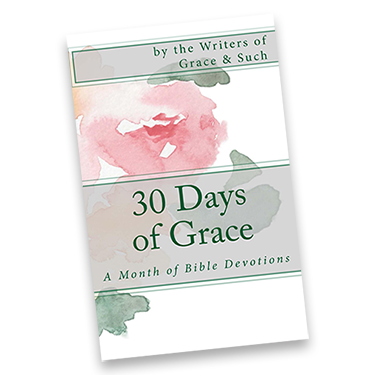 And my last question – why do you write for Grace & Such? GH: I write because I can’t not write. I’m a wordy person, and my favorite thing to write about is how my faith impacts my life and vice versa. It helps me process my thoughts, writing them down, and it (I hope) encourages others to think about their own lives and faith journeys, and may even start a dialogue. That’s my favorite. G&S: We’re really glad that you can’t not write! Thank you, Gretchen, for giving us a glimpse into who you are. And readers, if you have any other questions for Gretchen, leave a comment! Be sure to check back tomorrow for Gretchen’s February post. Nice to meet you, Gretchen!!! I too love Call the midwife, so much about it, but it amazes me that we women love a show so full of belloring during childbirth – there’s something about it that pulls us in? Even more mysterious? Why our husbands watch it with us? Read everything Kate Morton has written and will write – amazing. And Micah 6:8 is the epitome of writing perfection – sums it all up in such a short verse. Love everything about you…. Girlfriend, so mutual. Amen to the reason our hubbies watch CTM with us. It’s just a good, good show, with such great characters. I truly think he likes it as much as I do. Can’t wait for our IRL neck squeeze. With my dtr going to school so close to ID, you know I’ll be knockin’ at your door. Darling interview. Makes me love you both more, which I previously thought impossible. I think what I love most about G is that all of this- her love for her people and her church and her others, her real-ness, her comfortable come-and-sit-and-rest-while presence- all of this comes through in her writing. Beautiful. Thank you, sweet friend. Love you more and more, too. Isn’t that amazing? God gives such gifts. The fact that you are friends with my friends…good enough for me. And the ‘can’t write’ part…well, there are several of us who would disagree. If you apply kingdom principles to everyday life….isn’t that our whole calling? Hey there, Ruth…I can’t NOT write. 🙂 Regardless of where or when, I’m typically journaling in one way or another. Thanks so much for stopping by & for your encouragement. Gretchen, I knew you’d be fun and interesting. I’m a bit envious of that quilting thing – ha. I used to love to sew and then other things got in the way. Glad you shared a little of who you are with us and our readers. Terri, do t be envious–it’s been way too long since I was in the quilt zone. Need to make it happen. Thanks for stopping by!